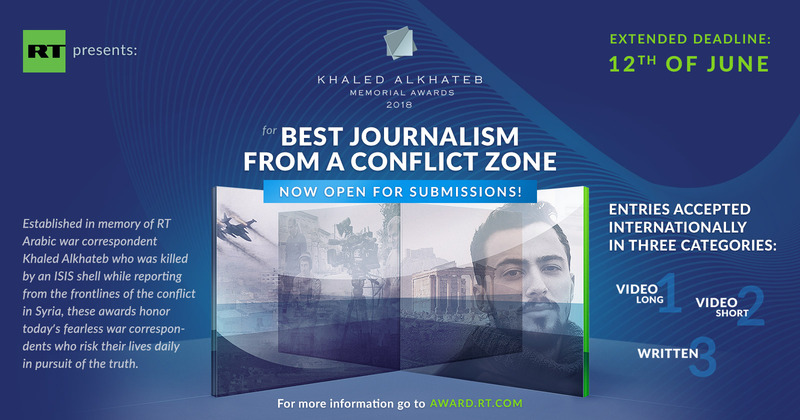 Khaled Alkhateb Memorial Awards for Best Journalism from a Conflict Zone is now accepting submissions! Established in memory of Khaled Alkhateb, an RT Arabic war correspondent killed while reporting from the frontlines of the conflict in Syria, these awards honor today’s fearless war correspondents who risk their lives daily in pursuit of the truth. Submit now. Draw attention to the world’s most pressing conflicts.